Wait, don't close that tab just yet. 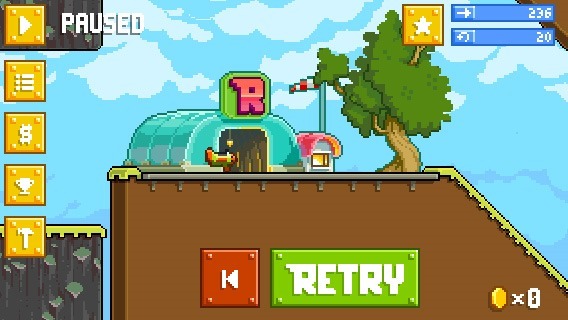 Retry, teased back in May, actually has some surprisingly solid gameplay elements. For one thing, you move your plane forward with careful taps that both tilt it up and activate the propeller, making real "flight" possible (instead of insane sine waves in the air). Release the plane completely and it will crash, hold down the single button and it will do loops. It's kind of like a 2D version of the Dodo from Grand Theft Auto III: flying is possible, but tricky. 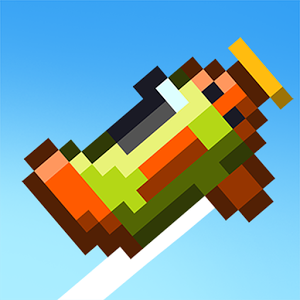 This game actually has structure, too: it's broken up into levels instead of the "endless" Flappy Bird and its innumerable imitations. The objective is to land your prop plane safely at the hanger at the end of each level. The system is more forgiving than it seems at first - though you will crash into the "roof" (clouds) and various outcrops often, it's possible to land safely on any flat surface, or even water. 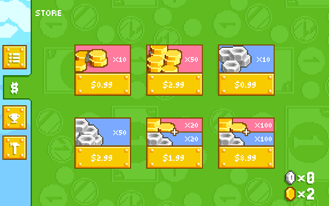 Various mid-level hangers let you save at least some progress along the way, though you'll need to collect coins to unlock them. 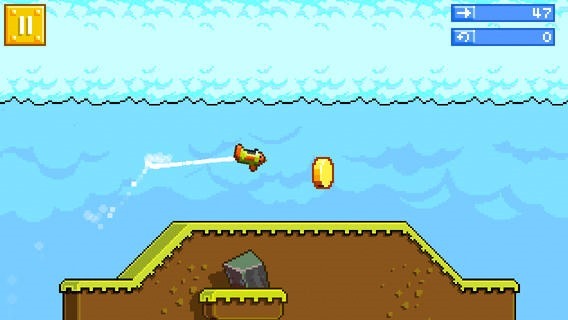 Retry is free with in-app purchases and advertising. 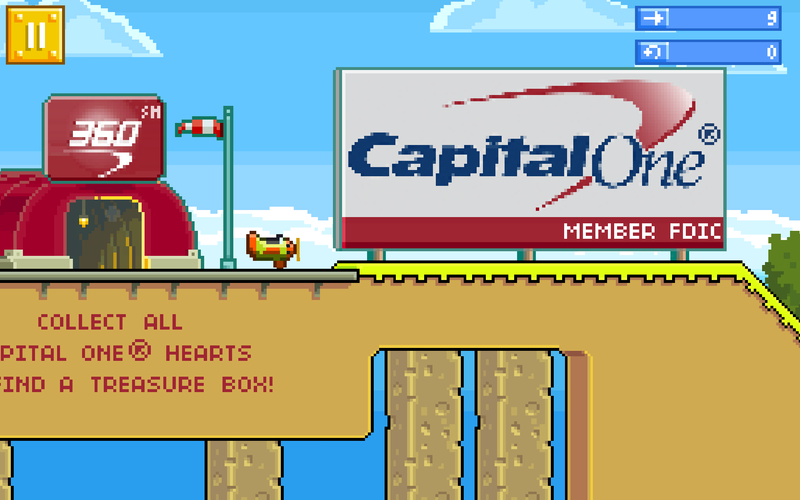 You can buy extra coins for save points, or just watch a 30-second ad to unlock a save point for free. That takes away a lot of the frustration, and for those unwilling to do either, each level has at least as many coins as save points. 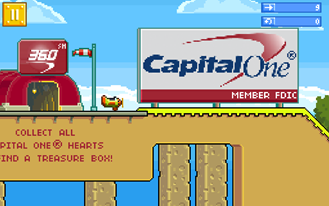 There are also "ad breaks," which are actually playable levels presented by advertisers - surprisingly OK as far as in-game ads go. 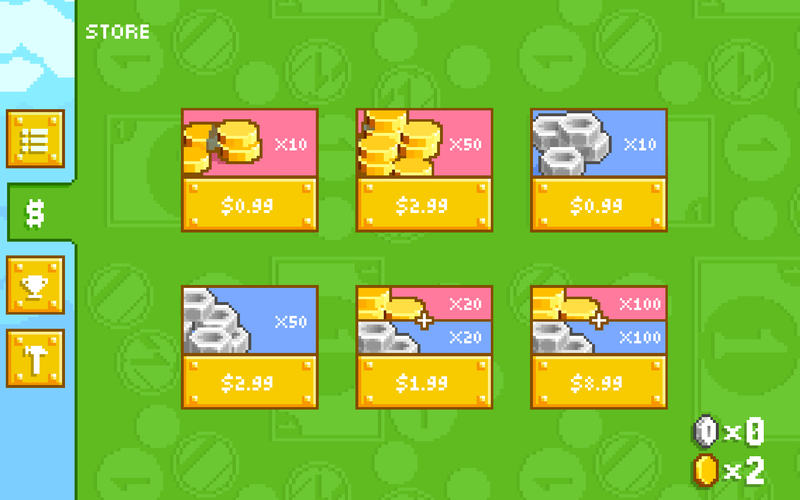 You can pay for coins or nuts (the hexagonal metal kind), though after the first series of levels I'm not sure what the latter does. The usual social nags are included. Retry is available for all Android devices running 2.3 and up. 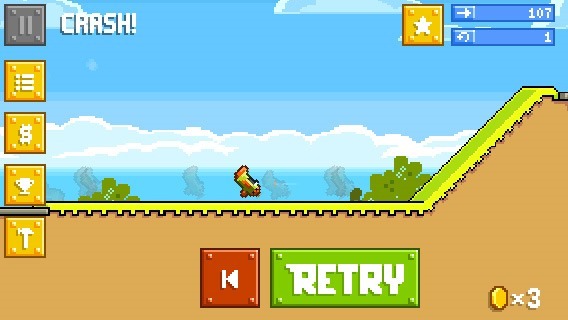 As far as the booming "frustration game" genre goes, it's surprisingly solid. Update: After digging a little deeper, I've found that you can only land on flat, paved surfaces (basically the hangars and nothing else). 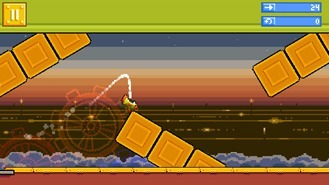 The collectible nuts are for temporary upgrades, like a magnetized plane that attracts coins.